Since April, the al-Qa'ida-aligned jihadist front in the Syrian civil war has been mired in controversy on account of a naming dispute. It all began when Abu Bakr al-Baghdadi—the leader of al-Qa'ida in Iraq (AQI) (self-identified as the Islamic State in Iraq, or ISI)—announced that his organization and the Syrian Jabhat al-Nusra (JN), under the leadership of Abu Muhammad al-Jowlani, were one and the same, and were henceforth to merge under the banner of the Islamic State of Iraq and ash-Sham (ISIS). Though acknowledging the common roots of JN and AQI, Jowlani rejected this apparently-uninvited declaration of a merger that implied a singular structure of authority. Instead, Jowlani asserted autonomy and separateness for JN from AQI, while reassuring those concerned through an affirmation of allegiance to Aymenn al-Zawahiri. Zawahiri remained silent on the issue until June, when a purported letter from him was revealed by al-Jazeera in which he declared that JN and AQI were to remain separate, while stressing the importance of cooperation between the two entities. Baghdadi rejected this ruling, implying doubts about its authenticity, and insisted on maintaining the ISIS as a real political entity and as the definition of joint jihadi efforts in Iraq and Syria. So much then for the controversy as it played out at the leadership level. Less explored, however, is the question of how it has worked out on the ground. In this context, Reuters journalist Mariam Karouny has purported to offer some answers. Broadly, she posits a hostile relationship between those identifying with JN and fighters under the banner of ISIS, with foreign fighters representing the latter as opposed to native Syrians for JN. She has also cited rebel sources suggesting the possibility of a future open conflict between the ISIS and JN, with the latter working with other battalions against ISIS in a similar manner to Iraq's Awakening Movement (Sahwa) that took on al-Qa'ida from 2007 onwards. Furqan media—AQI's official outlet—also released a video of a French fighter by the name of Abd al-Rahman al-Faransi ("Abd al-Rahman the Frenchman") who was killed fighting under ISIS' banner in Syria. To summarize briefly, he recounts that he had converted to Islam three years ago, speaks of the need for jihad in Bilad ash-Sham and restoring the Caliphate, while urging President François Hollande to convert to Islam and stop fighting Muslims. Incidentally, one friend of mine—Arun Kapil—says that the man's French accent is indicative of his origins in the banlieues populated by immigrants from the Maghreb. In any case, battalions apparently created specifically for foreign fighters appear now to be mirror fronts of the ISIS. For instance, Abu Omar ash-Shishani—the Chechen fighter who heads Jaysh al-Muhajireen—was appointed commander of northern operations in Syria for the ISIS by Baghdadi. In this context, it should be noted that Jaysh al-Muhajireen is suspected of being behind the beheadings shown in a video that purported to depict the murder of a Catholic priest, François Murad. The video can be seen here, but caution is highly advised. The claimed identification was mistaken. In fact, the beheaded victims had merely been accused of working for the regime, but the rumor that the first victim was a priest quickly spread. Though the first beheaded man was not Father Murad, men in the video refer to him as a Christian (and to the second man as "a Muslim, but a dog"), and it is believed by some that he was a priest of a different identity. 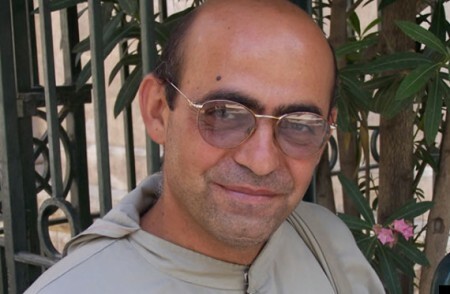 Father François Murad was killed, but in a separate incident. He was reportedly shot inside his church, an event that took place earlier. In addition to the battalions of foreign jihadists fighting for the ISIS, it is also true that in certain parts of Syria, there is clear evidence that JN and the ISIS are functioning as two separate entities. In the city of Aleppo, both groups issue separate statements with their own insignia. The ISIS in particular is set apart in Aleppo from JN and other rebel groups that have formed Shari'a committees. In the city of Deir ez-Zor, JN and ISIS are similarly separate; furthermore in Deraa, JN has very much retained its own identity, even forming in May an autonomous military council that issued its own statements while JN's official channel—al-Manarah al-Bayḍā—went offline between April and June. Nonetheless, separateness does not necessarily translate to hostility. At the theoretical level, one can note that ideologues on jihadi forums are encouraging the idea of friendly competition between JN and ISIS in fighting the Assad regime. That is, to not engage in internecine struggle, but to try to outdo each other in the killing of regime and Hezbollah forces. In any event, it is apparent that in Aleppo ISIS works militarily, not only with JN but also with rebels under the banner of the 'Free Army'—such as in the battle for Mannagh Airport. In Deir ez-Zor, responsibility for a suicide attack conducted by one Omar al-Tunisi was claimed as a joint operation between JN and ISIS. Elsewhere in Syria, the question of whether JN and ISIS are separate groups is much more ambiguous. For example, in the rebel-held city of Raqqah and the surrounding area, it seems that the names and banners of JN and ISIS are more or less interchangeable among those ideologically aligned with al-Qa'ida. This was most apparent during a recent round of rallies and counter-rallies in Raqqah, which were sparked when a demonstration was held featuring slogans denouncing JN for detention of rival rebels, though the location has been identified as the headquarters of ISIS in Raqqah. In response, demonstrators holding ISIS banners, along with supporters of Ahrar ash-Sham, came out, attacking the news channel al-Arabiya for its coverage of the protests in a supposed attempt to demonize JN. More recently, it would appear that harmony between different groups in Raqqah has been restored, with a rally calling for the fall of the regime (held on the first day of Ramadan) featuring ISIS, Ahrar ash-Sham, Kurdish, and FSA flags. In eastern towns outside of Deir ez-Zor, the distinction between JN and the ISIS has likewise become blurred. A good case-in-point is the border town of Abu Kamal, featuring Kata'ib Junud al-Haq that identified as being affiliated with JN. By May, the group issued statements identifying itself as part of the ISIS, but on its Facebook page a photo favorable to JN was posted. The group has since reverted to calling itself a branch of JN, but that does not translate to hostility to those who gather under the banner of the ISIS. Recently the ISIS also claimed a joint operation with JN in an attack on a regime held checkpoint—ash-Shoula—under the banner of Kata'ib Junud al-Haq. The same problem of blurring applies at the activist level too: one can frequently find jihadis on Twitter, Facebook and forums praising JN and ISIS as if they were one. In short, the ISIS-JN relationship as it plays out on the ground is far more complex than the tensions at the highest levels of leadership might suggest. It cannot be reduced to simple dichotomies. If anything, examining this relationship provides a textbook case of the fragmented nature of rebel groups. This should not translate into the wholesale discounting of the possibility of a wider conflict between the ISIS and JN or other rebel factions (in some places it is already happening, as I will show in a subsequent post), but one needs to be cautious of a narrative of a grand ideological clash reminiscent of the Iraq Awakening (Sahwa). Such a narrative is more a case of a few sources telling Western audiences what they think Westerners want to hear. Even so, the concept of a 'Sahwa' movement in Syria is undoubtedly something jihadis worry about, and one sees in their reports a tendency to characterize any prospect of armed clashes with another battalion as a case of the rival group transforming into a 'Sahwa' organization dedicated to fighting al-Qa'ida. As for future prospects for the ISIS in particular, the group is likely to remain a reality on the ground. The foremost problem for those who would prefer an AQI-JN separation is that Zawahiri did not make clear the abrogation of ISIS by means of a video statement, but instead appears to have relied on a letter meant entirely for internal circulation, leaving significant doubts among those in favor of retaining ISIS as to the authenticity of the Zawahiri statement in June. Unless he reaffirms this position by means of a video, ISIS will continue to expand throughout Syria. 1 The primary limitation to my method of analysis of the composition of the ISIS—namely, by looking at claimed 'martyrs' for the group—is that the deaths are self-reported, and sources may have reasons to downplay the presence of fighters from certain backgrounds. This is particularly true of Iraqi fighters, as Aaron Zelin has pointed out. One might get the impression that the ISIS is solely composed of foreign fighters, but two points should be made. First, I would emphasize that the ISIS cannot be regarded as a group that enjoys no support from Syrians on the ground. Second, as regards fighters, one notable exception has recently emerged. Namely, the assistant to the ISIS' amir for northern operations is Syrian—one Abu Muṣ'ab as-Sūrī who even has relatives fighting under the banner of JN. In a recent interview, he made clear that while there is a disagreement at the leadership level over the ISIS/JN affiliation, he does not see a looming conflict between the two groups, and notes that many 'muhajireen' also rejected the announcement of the ISIS.